Most of the lessons at Family Disaster Dogs, so far, have focused on teaching your dog on how to find a missing person by air scenting or trailing not “tracking.” This lesson will explain to you how to teach your dog to be a tracking dog that follows each step of a person or the exact path the person traveled. This lesson can be used to start any dog on tracking for any reason, including AKC tracking titles and other dog club tracking events, law enforcement and SAR. 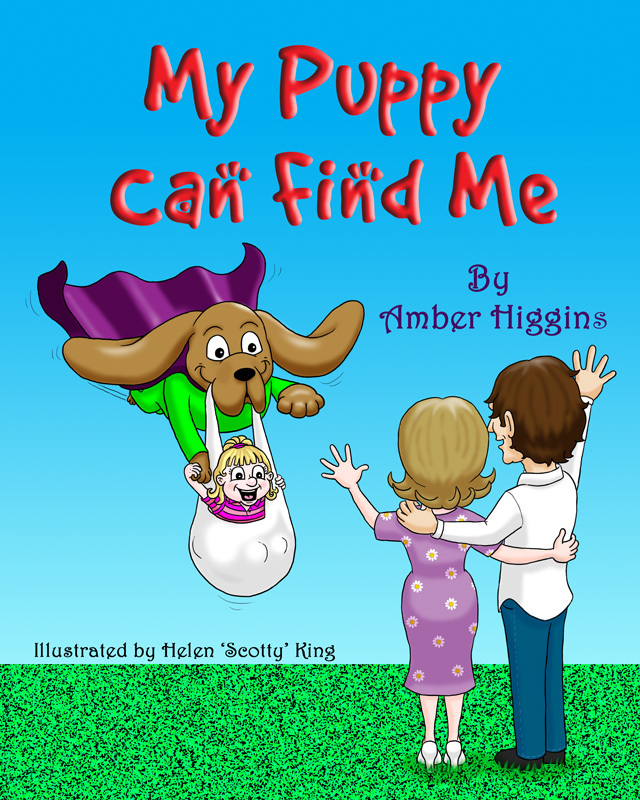 This lesson is fun for Family Disaster Dogs and other service dogs to do with their family members at the park or playground, and then in the event of a lost family member your dog will be able to track them down without any other training. First, let’s go over the differences between a tracking and trailing or air scenting detection dog. A tracking dog follows the exact footprint scent on the ground that is left behind as a person walks while a trailing or air scenting dog follows the scent as it drifts on the wind. You can tell the difference when you watch your dog work by noticing if your dog is air scenting by lifting its head above the ground, smelling high for a scent or carrying their head over 6 inches off the ground. They will seek the scent on the wind and in the air while a tracking dog keeps its nose to the ground and concentrates their focus within about 6 inches of the ground. 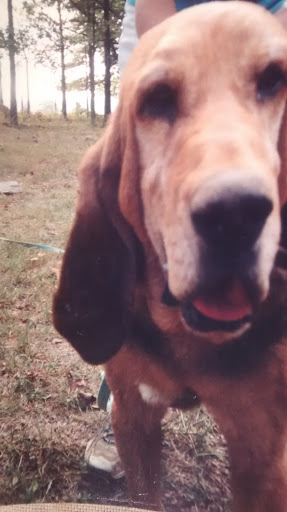 You can hear a tracking dog huffing on the ground; a bloodhound will blow the dust away when they are getting into the scent but when they are air scenting they hold their heads high, nose up seeking. When the scent is found, they are off, nose and head about body height with tail wagging. When they put that nose into the ground and snort, seek and run with the nose as close to the ground as it seems they can they have switched to tracking for air scenting. In dog club events, the difference can cost your dog points towards a title. In search dog work, it only matters that you learn to read your dog and find the person in the swiftest safest manner. 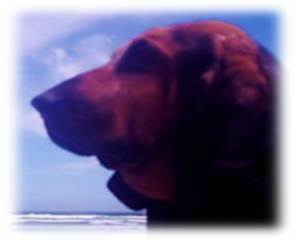 Many people find training a dog to do air scenting or trailing easier then training a tracking dog. For this reason, I covered air scenting and trailing dog training first to give you a better understanding of the fundamentals of detection dogs in order for this lesson to be easier for you and your dog or the novice tracking dog trainer. I’ve been training tracking dogs since the 70’s and worked at K9 of Hawaii in 1978 to further my education of security dog work. This method is well proven to work with any breed of dog. A large outdoor mowed grassy area; for instance, a quite corner of a city park away from distractions, a school ground or open grassy mowed field. Discuss with the Trail Layer how they will make the footprint track for your dog to learn on. Tell them they will be starting at the spot you choose in the grass and they will be placing one tissue paper or flag with a dog treat at this spot, then they will scruff and slide their feet on the ground to shuffle as they walk the first 3 or 4 steps of the trail. They will drop a few dog treats exactly where they scruff their feet as they walk away from you. Your dog can watch this part of the lesson either sitting next to you or tied close by. This scuffing the ground will help to disperse more scent at the starting point and the trail layer will do this shuffle scuff walk on each corner for the first few lessons until your dog understands they are looking for human scent. Once your dog starts tracking without hesitation you can have the trail layer walk normally when they make a course for your dog to follow. After the starting point, the trail layer will walk in a straight line into the direction of the wind blowing, if there is a breeze you can feel. The person will bend over to place a piece of tissue with a dog treat or a flag and treat every 10 steps or so for the length of the course. The person should keep a treat to give the dog when they welcome them at the end of the course. After 50 ft (steps) or so, the person will either sit behind a tree or the corner of a building, or lay down flat on the grass. We don’t want the dog to have sight of the person but we do want the person in an easy to find spot where they can step out and welcome the dog. Do not add a corner to the course until your dog is tracking the person successfully on a straight line course. When you add a corner, only add one turn at a time per lesson per day to avoid confusing the dog. Tracking is a gradual training process that should not be rushed. Once the person has laid the course and trail your dog will follow you get your dog and point to the starting flag. Tap the ground at the dog treat, foot print spot to show your dog the exact scent you want them to follow. Ask your dog to “Smell” or “Take Scent”. Give your dog all the time they need to smell and when their head raises up from the ground be ready to command “Track” or “Find them” and step off with your dog on the path the person took. As your dog moves ahead in the direction of the person repeat the “find” command and allow your dog time to do what you ask. If they do not move ahead on the course then prompt them with praise and encouragement as you slowly walk and point down on the path. You may have to point and tap the ground a few times to keep your dog on the scent until they realize what you are doing. As you follow the person’s trail your dog will find the dog treats covered in the person’s sent along with the flags and scuff marks or pool scent areas. This will encourage your dog to seek the scent and person. When you reach the person, praise your dog and have the person welcome them with petting and give them a dog treat. Repeat the same exact course again. Do not change anything. As you repeat this the dog learns to follow the scent of the foot prints. As your dog learns you will use less treats and more praise until eventually and gradually you replace the food treats with praise only. from then on your dog only gets a food treat when they find the person otherwise you will be teaching your dog to find food. Which we do not want. Do this same exact lesson and course 3 or 4 times each day for 3 days then give your dog a day or 2 off to think about this new game they have learned. Read the lesson about Burning out your dog to familiarize yourself with this aspect of training a working dog. Repeat this lesson for a couple of weeks then add a corner and be sure the trail layer scruffs their feet, drops a dog treat and flags the corner. The flags are placed on the course for you to see the corners and lay of the trail before your dog reaches them in order for you to know your dog is on the right course. These flags or tissue paper will also give you confidence to trust your dog because as you work with your dog on tracking you will see how amazing the nose can be. After a couple of weeks with one corner then add another turn so there are 2 corners or turns on the course. Keep the course about 100 ft long until your dog has the hang of tracking. Train on nice, mild not breezy days when the weather is not to hot. If the weather is hot, train in the early morning or evening when the day cools down for better performance. There will be more discussion about weather and performance in the coming lessons about variables of a search scene. In a few weeks and once your dog is tracking the person’s trail as outlined successfully, and only then, you can use a different person and change people every couple of days. You do not want to change people the same day or use more then one person a day while training a novice tracking dog until the dog totally understands what you want them to do. You will know by watching your dog when this happens. You will feel a great deal of accomplishment when you realize your dog is doing this! You will be like, “oh wow, look what my dog can do!”. At this point, which can take a month or so, and only after this point is when you can add other people, and you can start aging the trail too. When you age the trail the dog learns to find a person who has been missing longer lengths of time, such as somebody who is missing 8 hours. The dog first has to learn what the scent smells like 15 minutes later then when the person walked there, then 30 minutes, then 1 hour and up to 48 hours later. 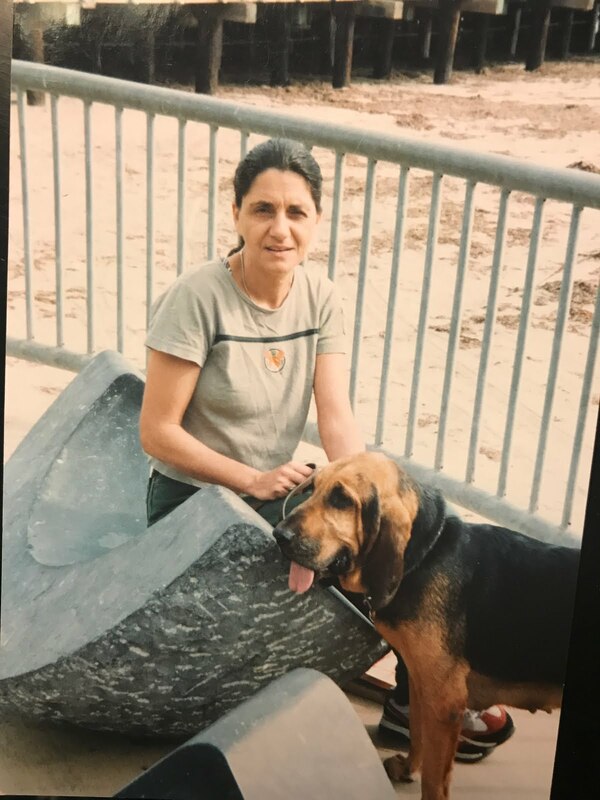 Therefore, when you are training dogs that will be looking for people and not doing tracking events for titles, the dog has to learn how to tell the time and age of the trail in order to work a scene where the person has been missing for several hours or a day. Dogs do tell time very well when we pay attention. 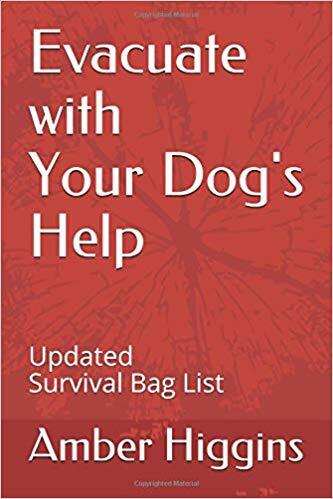 Whereas, if your dog is not going to be looking for lost people then you can skip the part about aging a trail or adding extra people. You can use an object, like a toy for your dog to find and you can use yourself as the trail layer. Go to the Lessons page to learn how to train your dog to track you and much more ! Including how to get a reluctant tracker to work. Have fun and happy trails with your dog! 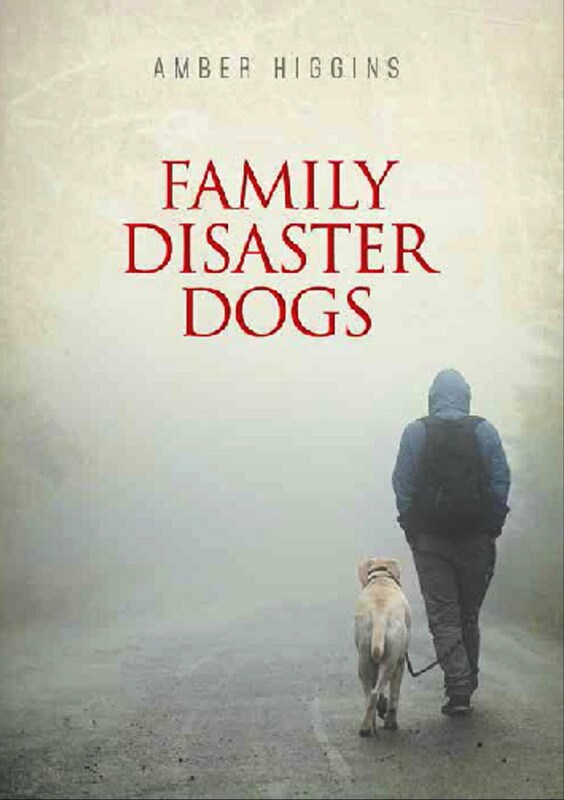 Get all the lessons in the Family Disaster Dogs book, Its a great gift for dog owners!